Goodbye pencil/ruler/paintbrush, hello popsicle sticks. 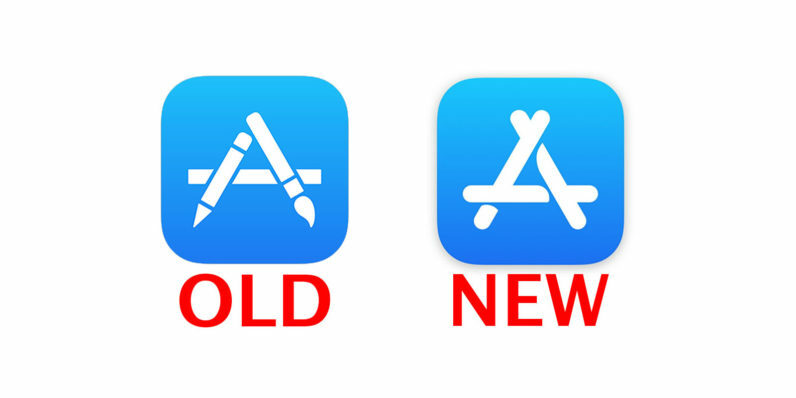 While the app store icon has seen subtle tweaks over the years, it’s featured the same basic logo until now. Apple today released it’s sixth developer beta for iOS 11 about a week ahead of expectations. The update includes new icons for Maps and the App Store, new AirPod animations, as well as other cosmetic changes. It also features bug-fixes and performance upgrades as well. The icons look all-together smoother and more contemporary than the older ones, with the exception of the app-store icon. It’s hard to imagine why Apple chose to forego the old pencil/ruler/paintbrush look in favor of a bunch of popsicle sticks. But whether you prefer the old icons, or are happier with the new ones, the updated images look better at higher resolutions and that’s a huge plus. The changes also include a couple of subtractions. Several live wallpapers are no longer pre-loaded, and auto-brightness has been moved to the accessibility section of the settings. If you absolutely need to have the newest icons on your iOS device today you’ll have to sign up for developer updates, and register your devices in the Apple program. There’s a $99 fee associated though, so most people will be fine waiting until tomorrow when the public beta is likely to release.